With her groundbreaking work already in the late '60s and early '70s Éliane Radigue created a path for many other musicians in the field of minimalism and drone music. To celebrate the amazing work she has done (and still does), we ask musicians to create works that are inspired by her work and as such are a dedication to her. 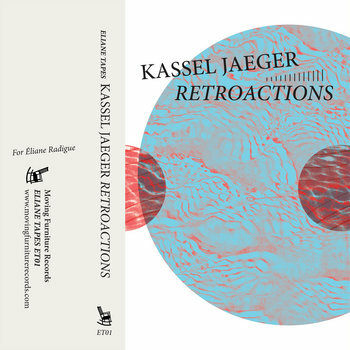 For Retroactions, Kassel Jaeger created "studies" trying to extend the gesture Éliane Radigue did with feedbacks, with a different and more "hi-fi" setup than the one she used at the time. In 4 studies, he experiments with different feedback setups: controlled, non-controlled, processed and non-processed. He worked with 6 microphones and 10 speakers, feedbacks. Out February 19th on Moving Furniture.